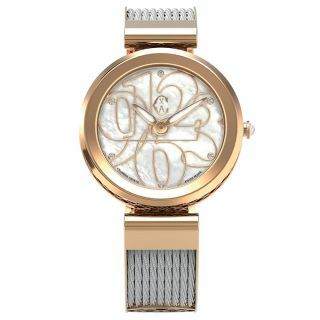 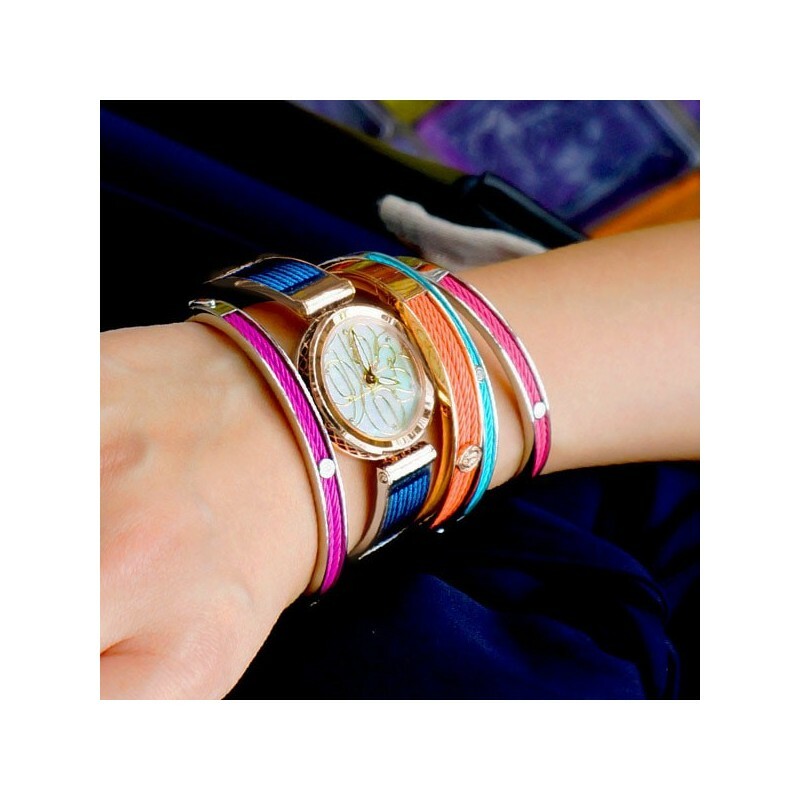 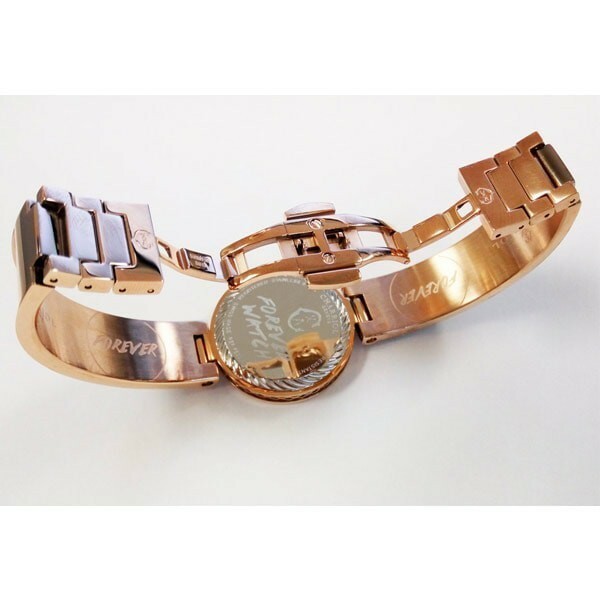 Forever Mixed Numerals watch - 32mm rose gold 5N PVD stainless steel case - White mother of pearl mixed numbers with 6 zirconia dial - Rose gold 5N PVD and blue cable strap. With its Eastern-inspired lattice design and chic signature cabling on the bracelet strap, this Swiss-made quartz watch takes pride of place in Charriol’s well-loved FOREVER collection. 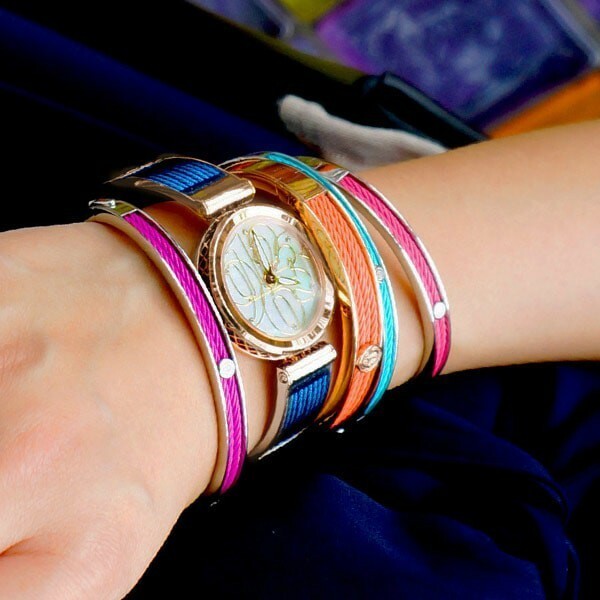 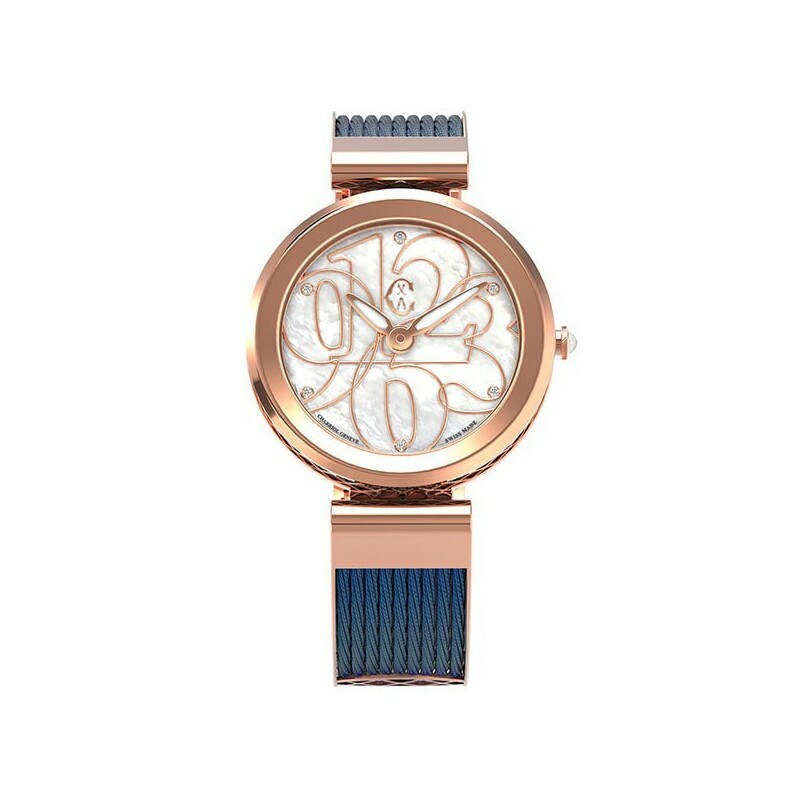 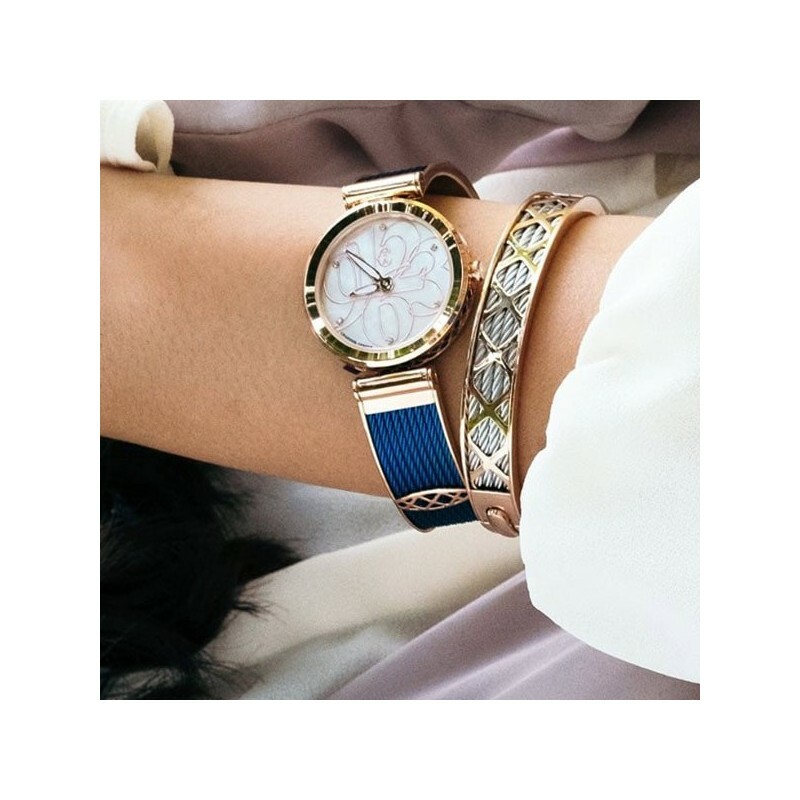 Crafted in a rose gold plating and blue-colored stainless steel, it features a white mother-of-pearl dial with graphical cut-away Arabic figures and embellished with six zirconia stones. 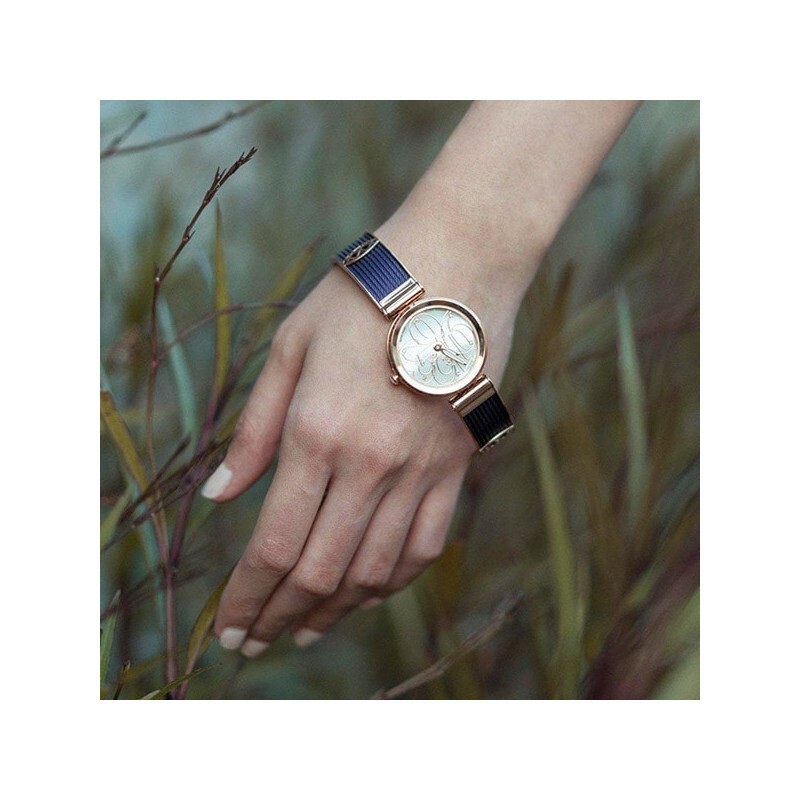 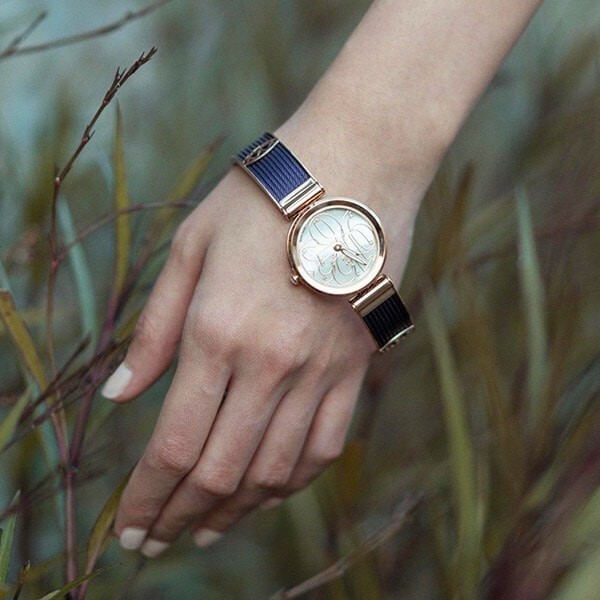 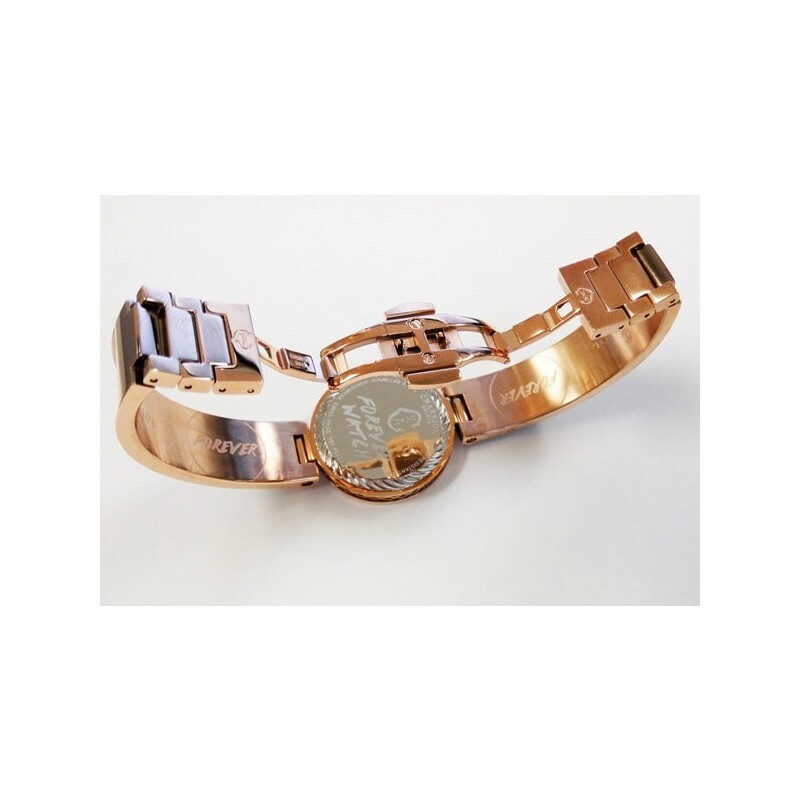 The slimline strap and 32mm case size are perfectly in line with the design’s statement of elegant minimalism. 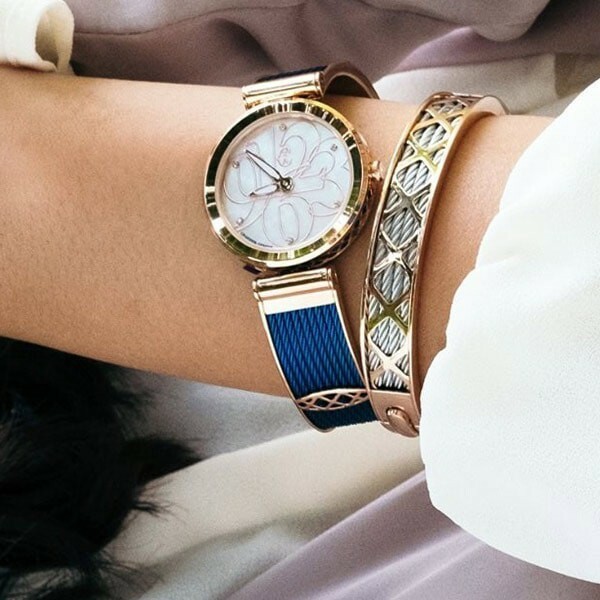 An everyday go-to with luxurious appeal.